Rugged industrial keyboards have a robustly integrated data input which makes it suitable for ruggedised computing systems for efficient manufacturing operations. 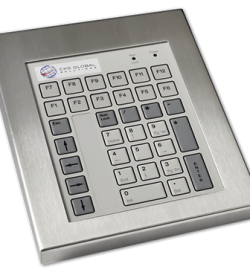 Keyboards for industrial applications have high IP/NEMA rating which allows it to last under the extreme conditions of the manufacturing floor. However, as with all devices, industrial keyboards are not one-size-fits-all. Manufacturing operations may have different requirements compared to other systems. Hence, CKS Global Solutions offers device customisation to fit your business needs. Our proven track record in supplying high-quality products and services guarantee that our keyboards are robust with excellent performance. Why Should You Choose Our Rugged Industrial Keyboards? 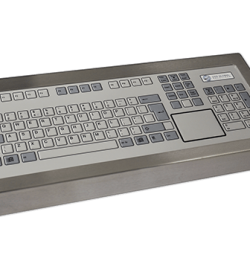 Our rugged industrial keyboards have been designed to offer a compact footprint size with a rugged, industrial quality Stainless Steel construction. 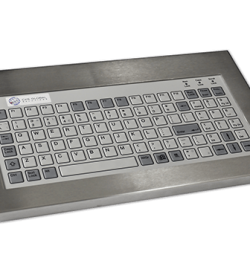 All of our keyboards utilise a Wear & Chemical resistant overlay making them ideal for harsh applications and suitable for wash down areas. 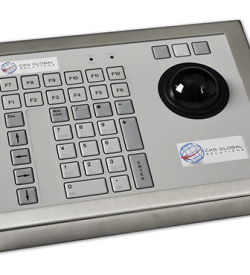 With variations such as those that include a pointing device, Trackerball or Touchpad, and your choice of Bezel mount, Flush mount, Rear mount or Cased, our rugged industrial keyboards are easily tailored to work with extreme efficiency within your harsh working environment. All keyboards include a 3-year Warranty as standard which can be extended to 5 years if need be! 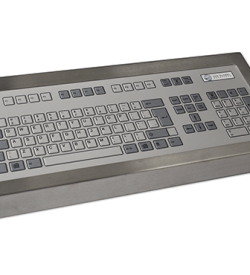 The industrial 42-key keyboard has a stainless steel finish which makes it ideal for challenging environments. Its IP67 protection rating allows it to last under the presence of dust and liquid intrusion. The phenolic resin ball material and stainless steel construction of this keyboard can last under extreme usage. Thus, it has maximum functionality even in the presence of contaminants present in the manufacturing floor. 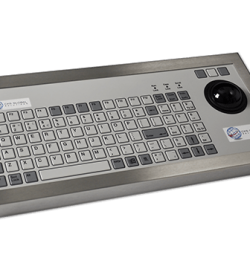 Our IP65 72-key illuminated industrial keyboard with an integrated trackerball allows efficiency in terms of data input. Its LED illumination makes it easy for operators to type in the necessary information. The compact footprint size of our 96-key rugged industrial keyboard makes it convenient to install in limited workspaces. Plus, its wear and chemical resistant overlay allow it to withstand the presence of damaging conditions. Our 96-key rugged industrial keyboard has IP65/NEMA4 protection and a phenolic resin ball material. The integrated trackerball and keyboard are convenient for manufacturing operation usage. 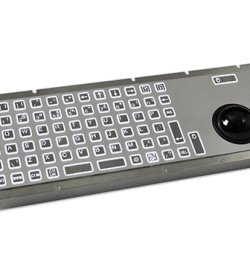 The 96-key rugged keyboard with embedded touchpad is suitable for industrial applications. Its integral 65 x 50mm touchpad is undoubtedly ideal for seamless navigation. An IP67 sealed keyboard offers excellent protection against the harsh environment of the manufacturing floor. So, we have a 128-key rugged industrial keyboard as a reliable data input solution. 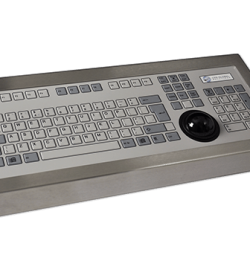 For an ergonomic data input device, our 128-key rugged industrial keyboard with trackerball is the ideal solution. Plus, it has cased, bezel, rear or flush mounting options for different workspaces. 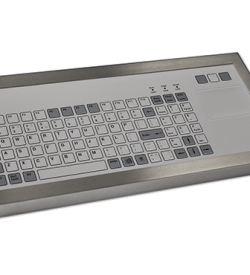 Our easy to customise 128-key rugged industrial keyboard with touchpad allows it to be built to meet specific hardware operations. Also, its sealed mechanical keys guarantee that the device can last for extended periods. Our 30 years of industrial computing solutions allow us to understand the complexities of your business needs. Thus, our full range of industrial keyboards and customisation option can cater to many aspects of your manufacturing operations. So, check our products and download the free datasheet or call us at (+44) 01438 747111 for further information.